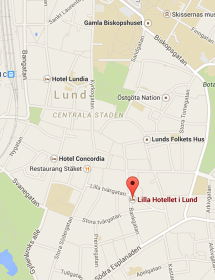 The Little Hotel is situated in the middle of the town center – 100 meters from the Mårten Square. Reserve your room by clicking at reserve room. You may also reach us at the addresses stated on this page.